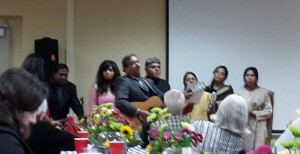 A medical mission fundraising dinner at St. Christopher, Fort Worth, on Saturday, February 21, 2015, raised approximately $3,500 for Hopewallah, a tax exempt charity organization helping the lepers of Hyderabab, India. 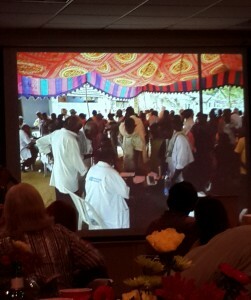 More than 100 people attended the event, which included a meal of Indian food, a slide show of the work of the medical mission, a fashion show of Indian clothing, and the singing of Telugu and English songs by the children and grandchildren of the late Bishop Prabhudas, the first bishop of the Diocese of Karimnager, Church of South India, and founder of this leprosy medical mission. 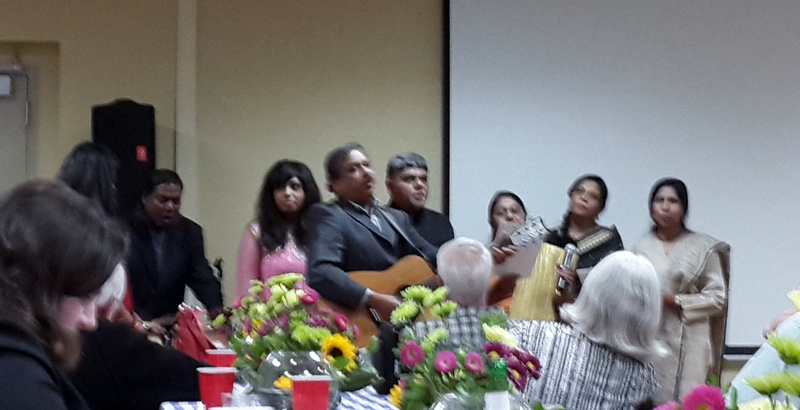 Bishop Prabhudas’ son, Dr. Andy Babbili, is a member of St. Christopher. He and his family regularly travel to India to work at the mission, located in the outskirts of the city of Hyderabad.